Every once in a while you get the opportunity to view an exhibition that takes your breath away. Yesterday I had one of those moments. The exhibition is question? 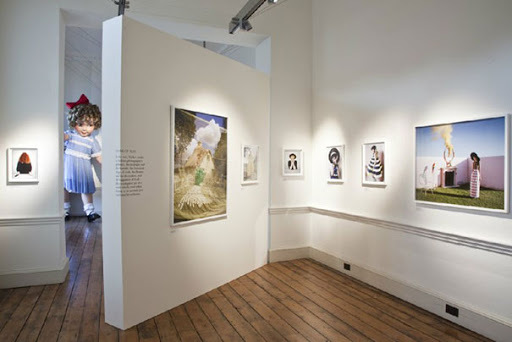 Tim Walker: Storyteller at Somerset house. I’ve long since been a fan of Tim Walkers work (I blogged about his work here). 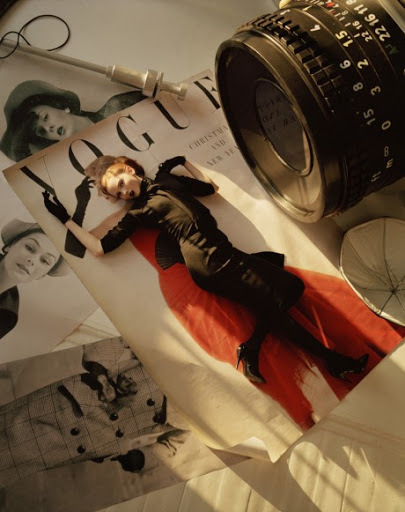 I think the image above was one of the first Walker shoots I saw in Vogue (ah the days when I had a Vogue subscription. Sigh). His work with its creative, quirky, playful and dreamlike nature has always appealed greatly to me. Somehow the exhibition manages to be light and fun yet serious, dramatic and highly emotional. I found myself in tears at one point because Walkers photography seen blown up large scale is just sobeautiful. 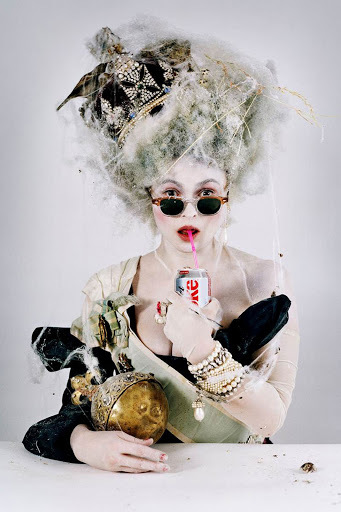 In particular there is a photograph of Alexander McQueen with a skull from 2009, blown up large scale. I’m actually not going to share the image here, because I feel you need to see it to appreciate it. But the image, which must have been taken only a year or less before McQueen’s death has a poignancy and a realism and also seems to speak volumes about McQueen’s personality. This exhibition also captures something of Walkers persona. From interviews I’ve read with him this exhibition simply feels like he must have had a lot of input. It’s the play with scale that so captures Walkers sensibilities. The length of the exhibition too was just right. It felt enough to satisfy a fan of Walkers work, yet in the same breath not too long to bore someone who had only a passing interest. I will say at this point the exhibition focuses on Walkers work from the past ten years (possibly less I’m not 100% sure what the earliest photo was) as the Design Museum has previously held an exhibition which focused on his earlier work (2008). The setting of Somerset house is perfect for Walker’s work. There is some sense of homeliness in the rooms of the East Wing. You feel like you are entering into Walkers own personal space, into his sketch book (with the giant sketches) and into his mind. Walker’s photography here is able to be viewed as art, as it deserves to be. Taking them away from fashion shoots, as many of these images started off life. Scale here is key and the different sizes of the images help to convey different meaning of each piece of work. Unlike many other photography exhibitions where the photograph defines the exhibition, here the props are equally important and you feel like each room is a work of instillation art within itself. I’d go as far to say that the presentation here made me re-think other photography exhibitions I’ve seen ahem *Cecil Beaton and the Queen *, because this was done so well. So, ANY criticism? There was one picture of Kate Moss that I felt was out of place in one of the rooms. Honestly, that is my SOLE fault of the exhibition. What else can I say? The exhibition is free, so realistically you have no excuse not to go. There is also a simply stunning book that accompanies the exhibition which will definitely be going on my Christmas list.